Children and young people today are using the immense power of digital media to explore, connect, create, and learn in ways never before imagined. With this power, young people have extraordinary opportunities, and yet they face many potential pitfalls. These safety and security concerns underscore the need for children and young people to learn digital literacy and citizenship skills and for schools to support their pupils to act responsibly and to use the internet in a better way. At St Leonard's we aim to provide a broad and balanced online safety education at each key stage to ensure that our pupils can navigate the online world safely and positively. Children are gaining access to and owning their own devices from an ever younger age. Devices can be great for learning and development, however parents should be aware of the content available online and the chance of their child seeing something they shouldn’t when online. Below are some helpful guides to setting parental controls on games consoles and devices, which you can download. 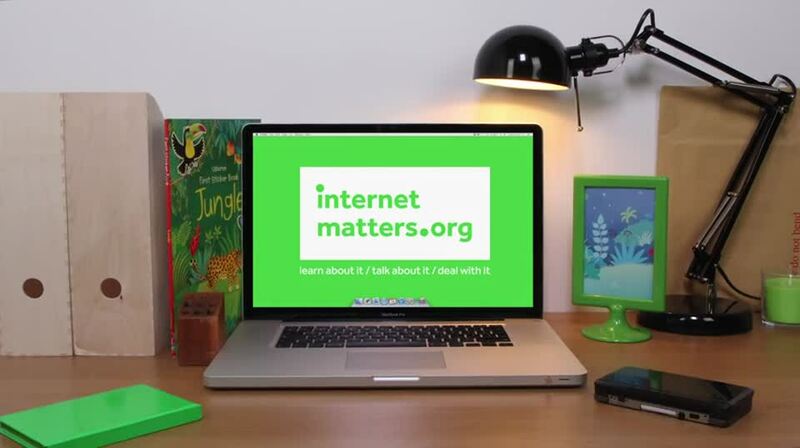 So, how can you protect your child and make them safer online? Visit our school website and go to the Online Safety page. Updates will be included here regularly. engines at the bottom of the page. Encourage your child to tell you when they see something online which upsets them. Visit the age-appropriate related sites: 5-7s (Hector’s World), 8-10 (Cybercafe) or watch one of the films on the 11-16s site. Get to grips with the digital world! You can access the latest issue (March 2018) by clicking on the image below. Previous editions of 'Digital Parenting' magazine can by viewed via the following link. St Leonard's School will again be supporting Safer Internet Day by holding dedicated KS1 and KS2 assemblies followed by classroom online safety lessons and activities. Safer Internet Day (SID) is organised in the UK by the UK Safer Internet Centre and takes place in February of each year to promote the safe and responsible use of online technology and mobile phones for children and young people. CLICK HERE to link to their Parents and Carers information page. A number of children in school have been talking about TikTok (formerly known as Musical.ly), another incredibly popular free social media app. You may be aware, via the news, that several police forces have issued warnings to parents about the disturbing Momo Challenge game that is targeting children and young people via the internet. Fortnite Battle Royale is the latest trending online game with 45 million users worldwide, many of whom are below the games recommended age of 12+. It's popularity has been brought to our attention, due to issues arising in school, as a result of some of our pupils playing the game with each other online at home. Some parents/carers may not even be aware of the game and the risks it poses for children, particularly for those under 12 years of age. We have shared, below, a help guide from www.nationalonlinesafety.com which provides detailed information about the game and tips for parents/carers on how to keep children/young people safe online if they are playing it. Many children and young people will be receiving technology gifts this Christmas that will allow them access to the internet. The Lancashire Safeguarding Children Board (LSCB) have produced this useful guide (below) for parents and carers to help support them to have fun but still stay safe in the online world. Know IT All for Primary contains a specially designed 5 part animation called The Adventures of Kara, Winston and the SMART Crew. This film covers Childnet's 5 SMART rules which have been proven to be effective in helping younger children understand the importance of keeping safe online. The cartoon will appeal to both younger children (6 and 7) as well as right up to 11 year olds. To watch the animation click on the image below.